Pacasmayo is home to one of the longest surfable left waves in the world, the Surf Hotel is only 100 metres from the beach. Transport and boat services for the local El Faro spot can be arranged with the Surf Hotel, board storage and common area with hammocks, pool table, ping pong and table football make this the perfect surf spot. The Surf Hotel has a full a la carte restaurant on site in all prices. If you want to cook some homemade meals yourself there are select rooms that have kitchens. The family and friendly staffs will help you arrange every aspect of your trip. The main square of Pacasmayo is only a 5 minute walk away, with the bus station also only a 5 minute walk away. Other things to do in the area include sandboarding, visiting local ruins, cycling. Rooms here come with flat screen TV and satellite channels. All rooms have private bathrooms along with towels, bed linen and fans. Select rooms have kitchens, balconies and sea views. You’ll also find a 24-hour front desk, WiFi throughout, private parking and huge common area – perfect for chilling after your surf session. The family runs a restaurant specialises in Peruvian and Italian dishes, think fresh fish & seafood in addition to hearty pasta and pizzas, which are made in a brick oven. Breakfast is provided for 3$ and served in the restaurant every morning with eggs, fresh bread and freshly squeezed juices setting you up for a morning of surfing. Drinks are also available to buy in the restaurant to enjoy while you’re hanging out in the common areas. 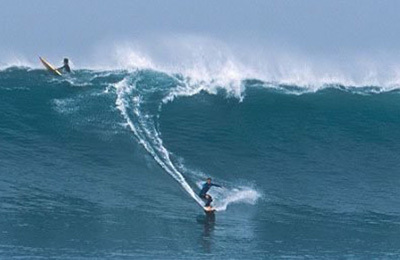 El faro is the most famous beach in Pacasmayo among the surfer community. Here you can find the longest and biggest left wave of Perú. It’s constant, persistant and breaks in the same spot all the time. 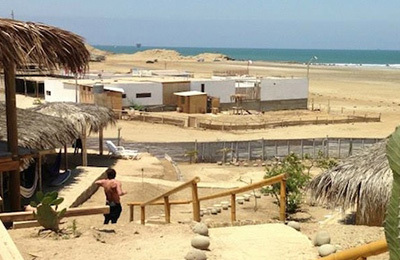 Pacasmayo has an important net of infrastructure and services for the surfer. To keep all the good memories in mind, you can hire professional photographers of Pacasmayo to take the best pictures and videos of you while riding incredible waves. Another possibility is to hire zodiac boats to get to the best spot on the ocean where you can catch the biggest waves. When you do not feel like surfing, you still have a lot to do! Pacasmayo is one of the five districts of the County of Pacasmayo, located in the department of La Libertad, it is beside the Ocean Pacific and it has a very uneven geography. The origin of the word Pacasmayo; according to the Father’s chronicles “Calancha” announces that it is simply incorrectness of the Quechua voice Pakatnamu it names of the Cacique that the city and strength of Pakatnamu whose ruins can Jequetepeque was founded it turns to the north of the outlet of the river. According to other specialists they affirm that Pacasmayo Means “Hidden River”. The station of the old railroad, the lighthouse, the pier, the beautiful mirador with the resuscitated Christ, the converged beaches, the gastronomy with the help of fish and their creative crafts are tourist main attractiveness. Either a connecting flight to Huanchaco or jump on a bus from Lima bus station, a short taxi ride (appx 40 mins) from Lima airport. The bus trip takes 10 hours and are very frequent. The best bus companies are: CIVA, Cruz del Sur. "So friendly Hotel with a lot patience and empathy for the individual guest! Good hints and solid reconmendations for spots, the area, transport, good Restaurant ! The rating at tripadvisor is absolutely deserved!" Many thanks for your comments Kirsten, we are happy that you have spent a pleasant stay with us. We hope to see you as often as possible here. "It was awesome staying in Pacasmayo! The people from the hotel are very kind, helpful and polite! What can I say about the girls from the kitchen? The food was incredibly good! You should try the dessert. A real explosion of flavors. The rooms were very good too, very clean. The hot water was very important after surfing that cold water in Pacasmayo Beach. The common area is awesome too. Perfect to do nothing, watch TV, play snooker, or just to meet great people from all around the world. You can also get a bike to make a tour in the city, for FREE!! Before I forget, you can use wi fi with no problem"
"I was on a surf trip with my brother, at the beginning we were expecting to stay for 3 4 days in pacasmayo and then get south to chicama before heading north. We expected it to be a desert and boring place, and we found that apart from the waves being supergood, the stay was really enjoyable and the people there are just amazing, specially the guys from the hotel, they really get along with you and try and do their best to make your stay be 10 points. We ended up staying the whole week and skipping chicama before parting north, but theres no doubts that were coming back there in the future!" 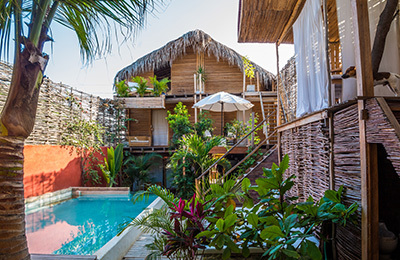 "I went to surf trip to Pacasmayo for the first time and stayed this hotel for a week. This is a great little hotel with reasonable price. all owner`s family and the stuff are nicest people in the planet. 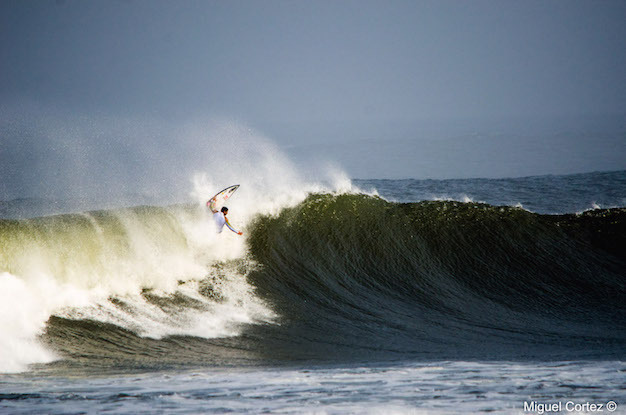 Pacasmayo is a nice little town with great left point break.I will definitely coming back and stay this hotel again."